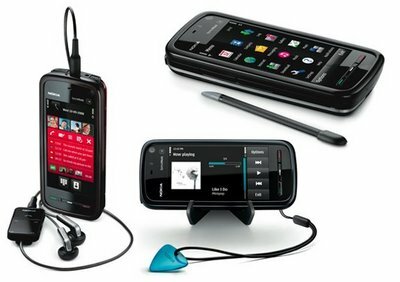 It’s almost four months since Nokia released 5800 Xpress music edition, their first touch mobile device based on Symbian S60V5. 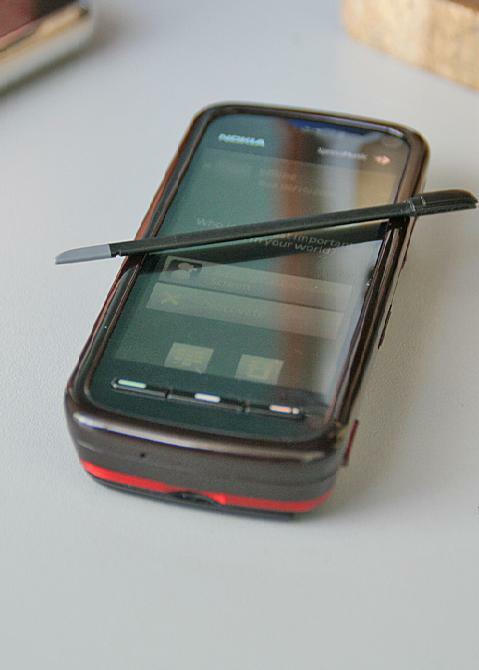 Nokia 5800 Xpress music edition is also known as Nokia Tube and is considered as an iPhone Killer. At 320-350$ price, Nokia 5800 Xpress music edition has GPS, Bluetooth, Youtube streaming, Camera, WiFi, large screen display and many other features that are not even offered by phones falling in the same category. Nokia 5800 Xpress music comes with a 640 x 360 pixels display with up-to 16 million colors and an aspect ratio of 16:9. ARM 11 369 MHz CPU, 128 MB of SDRAM memory. 3.2 megapixel autofocus camera with dual-LED flash. Nokia OVI store and MySpace integration. Accelerometer sensor for automatic screen rotation with phone movement. Stylus, plectrum and finger touch support for text input and user interface. Media bar for easy access to multimedia options. Full web browser with HTML, XHTML and WML support. Flash lite 3 for FLV and Youtube playback. WiFi and Bluetooth with A2DP. 81 MB internal memory, 8GB microSD memory card in-box, which is expandable up to 16GB. GPS with Nokia Maps 2.0 Touch application. Available in blue, read and black colors. Nokia 5800 Xpress music is still available for purchase in India. The price of the second hand models ranges from 6000-8000 INR. Nokia has released several new touch based handsets in India. You can get more information about that from our Nokia section. (Check for the mobile phone list at the left side of this page). If Nokia 5800 Xpress music had a 5 mega pixel camera , the phone would have been far far better . Do we have any inbuilt FLV player or youtube player in Nokia 5800 Xpress music ?? Ye’h,it! Y’u can acc’ss Yout’be d’rectly. yalgar.com is giving nokia express music phone with 85% discount is it really true…???? they are providing following specification.. should we go for it.. Need flash Player for my nokia 5800 music express, can anybody help me….plzzzzz….